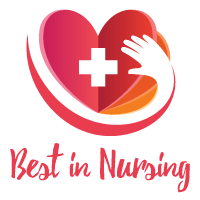 Dr. Robin Stewart, Manager of Clinical Research at Lakeland Regional Health, has been recognized as a “Leader in Nursing” among “America’s Best Nurses” for 2017. She will be sharing her knowledge and expertise in Oncology, Clinical Research, Nursing, Clinical Trials, and Administration. Dr. Stewart has been active in the healthcare industry for the last 41 years. She obtained her PhD from Capella University in 2005. Originally a Nurse by trade, Dr. Stewart naturally progressed into a Director of Hospice role, where she could best utilize her nursing skills and compassion for patients. At Lakeland Regional Health, she is in charge of the management and oversight of clinical research. She describes her position as 70% administration, 20% research, and 10% grant writing. Dr. Stewart is also a Professor in the Master of Science in Nursing program at Florida Southern College. Dr. Stewart attributes her success to her wanting to make a difference in the lives of patients. She is honored to have been a recipient of the Beautification Award from Lakeland Regional Cancer Center for her work in ensuring that patients are in a peaceful environment. She received the “She Knows Where She is Going” Award from Girl’s Inc., a non-profit organization encouraging young girls to become successful women, in 2006. 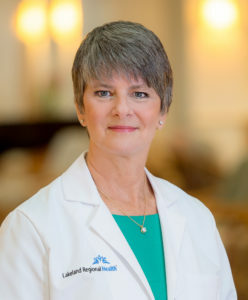 Dr. Stewart also received the Polk County Nurse Manager of the Year award in 2006 and is proud to have been the Oncology Nursing Society’s 2010 recipient of the International Oncology Certified Nurse of the Year award. Dr. Stewart is a member of the Oncology Nursing Society, Association of Clinical Research Professionals, and American Society of Clinical Oncology. She has written over 15 nurse- and physician-initiated research studies and is part of the professional speaker’s bureau for Lakeland Regional Health. Her original research on fusion-guided prostate biopsies in the community setting was presented at the American Society of Clinical Oncology (ASCO) Urologic symposium in January 2016. Dr. Stewart’s long-term goals include continued professional growth, a transition to a more educational role, and more grant funding within her organization. She is a peer reviewer for the journal Oncology Forum and founding member of Hospice Women of Giving of Good Shepherd Hospice. In her free time, Dr. Stewart enjoys reading, exercise, and yard work. Lakeland Regional Health is a not-for-profit health system improving lives every day through safe and exceptional care, prevention and wellness, education and discovery. Its 849-bed Medical Center is the fifth largest hospital in the state of Florida and also operates the busiest single-site Emergency Department in the state.